I have been lacking in posts recently, mostly because I have been poorly for a while and so have not completed many fun projects in the past few weeks. However, I made up for *all* of that with this one super fun project! Our friends are getting married this year and when they came over for a visit a few weeks ago and the conversation moved on to their wedding plans, I (awesomely) (stupidly) decided to mention that I was going to try making a fancy cake soon (daaamn you Ace of Cakes, piquing my curiosity). I also mentioned that if this attempt went off well, then I could make them a wedding cake as a present, if they wanted (and trusted) me to do so – for one of the most important days of their lives. Bless! I decided that it would be better to try a test-run sooner rather than later, so they could decide sooner rather than later if this could actually work. I shall work through my weekend process in steps below, but if you are really curious I’ll let you know now… overall result: not so bad! 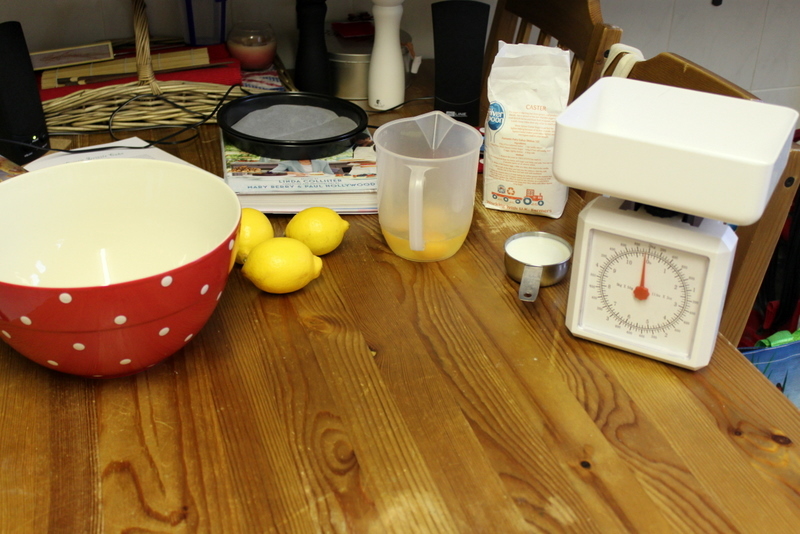 Step 1: Start with a nice and tidy work station, with all of the tools you shall need to bake a cake! 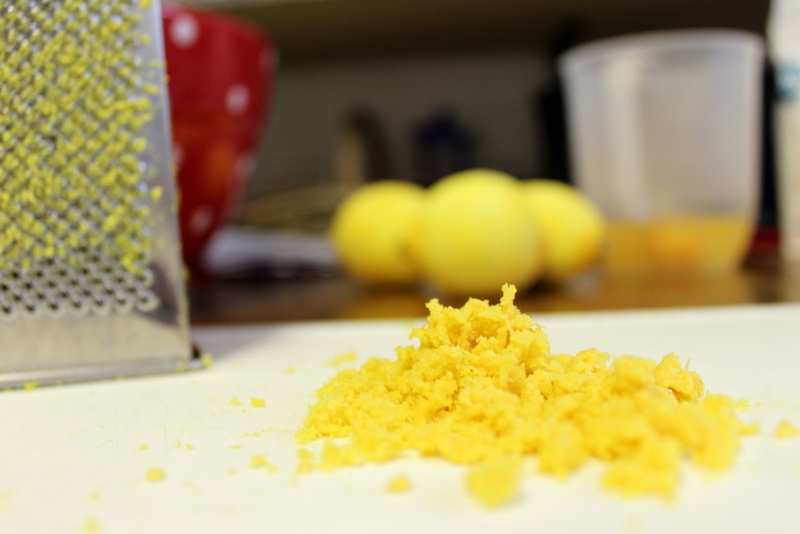 Step 2: Zest, zest, zest… lots of zest. Why? Because I made a lemon sponge cake, with lemon syrup drizzle! 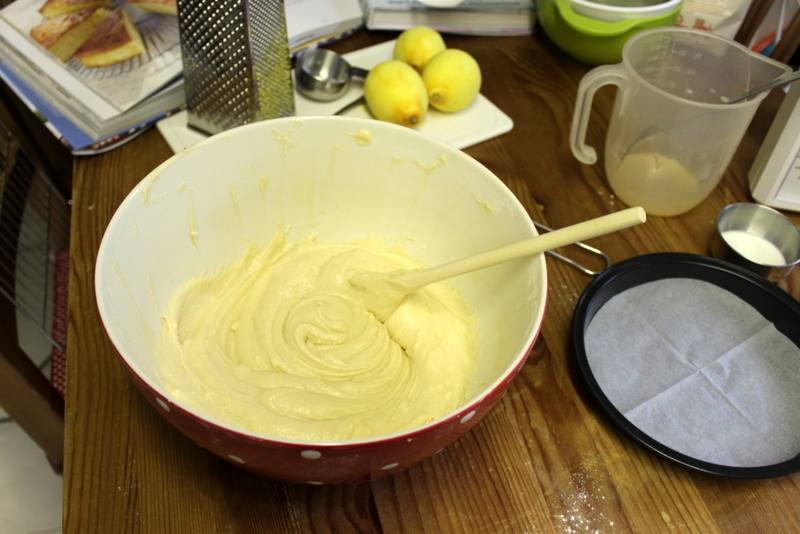 Step 3: Make yer cake batter. 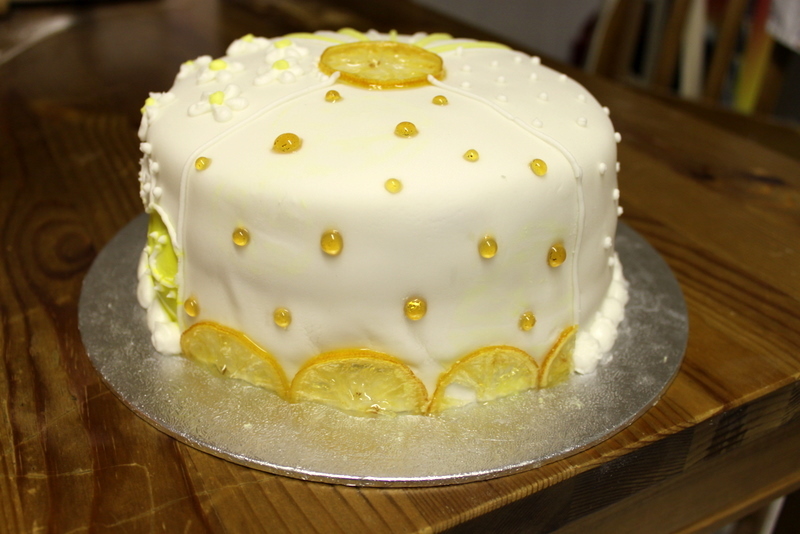 I used a recipe for a lemon drizzle cake from one of the Great British Bake Off recipe books. 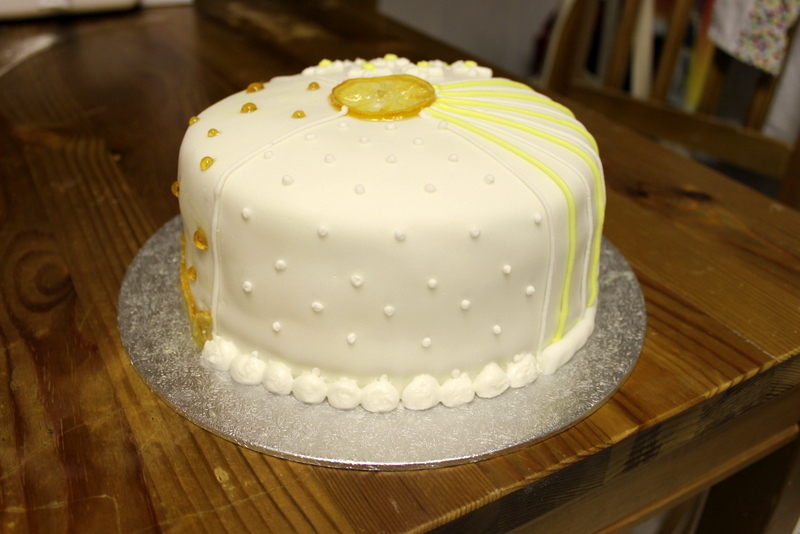 I wanted to make a lemon cake, but I also wanted a nice dense cake to work with, to minimise how much it crumbled and how much it would compact under the weight of sugarpaste (having never used it before, I was going for fool-proof). 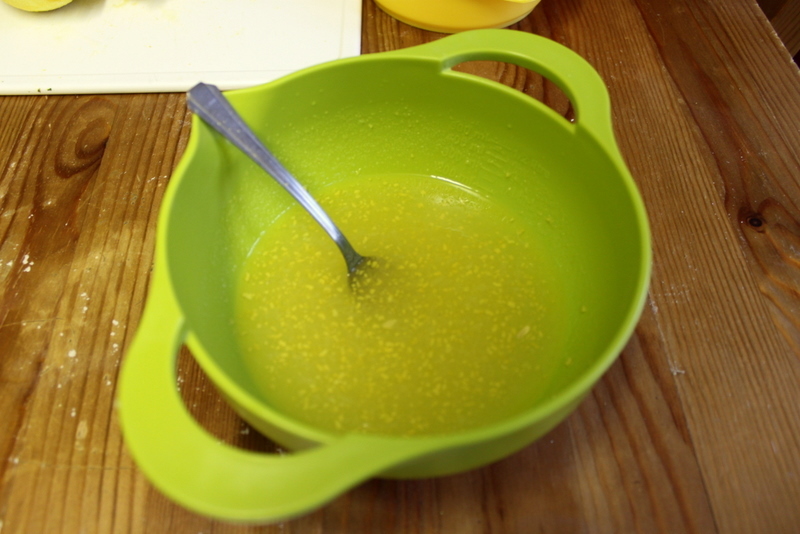 Step 4: ‘Make’ lemon drizzle syrup (sugar, lemon juice, lemon zest). I could have just drank the whole bowl. I settled for a teaspoon though. 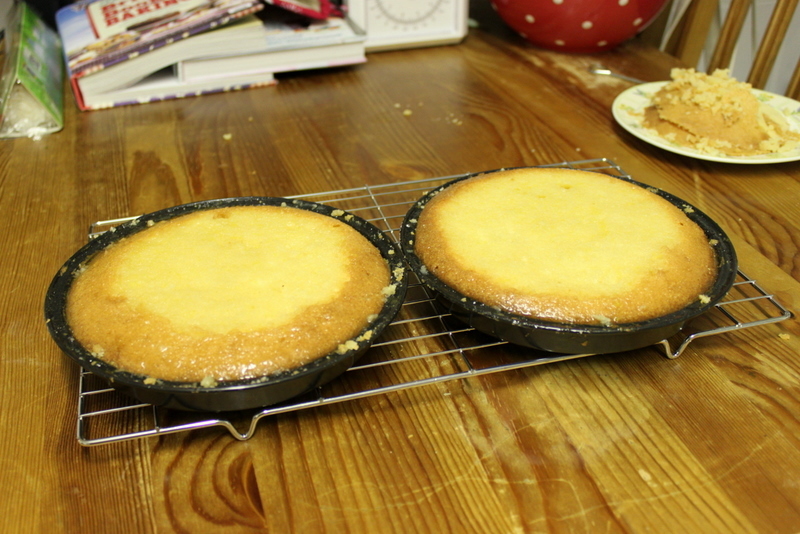 Step 5: After the cakes were baked and cooled, I evened off the tops and then liberally applied the lemon drizzle. I think with deeper cake pans, this could (largely) be avoided. But hey, you work with what you have. 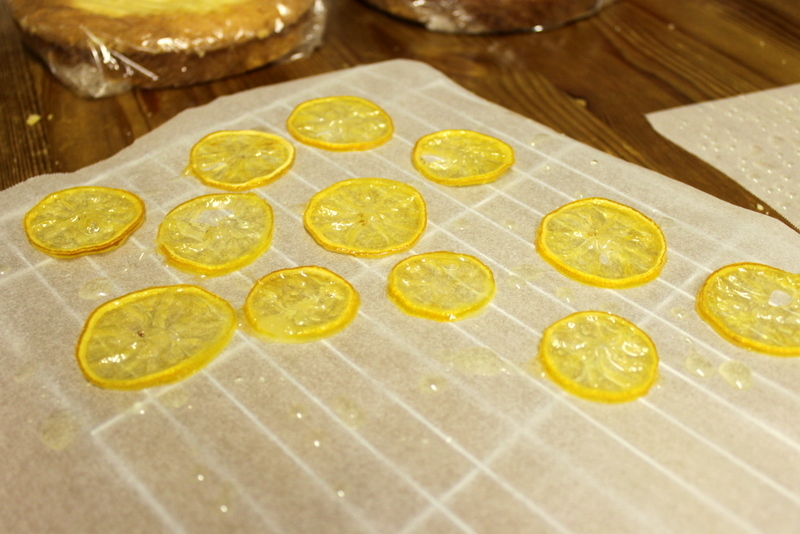 Step 6: Because I was not going to start the next part of the cake making (constructing and decorating) until the next day, I decided it would be an awesome idea to try and make candied lemon slices, since I had loooads of lemons in the house. 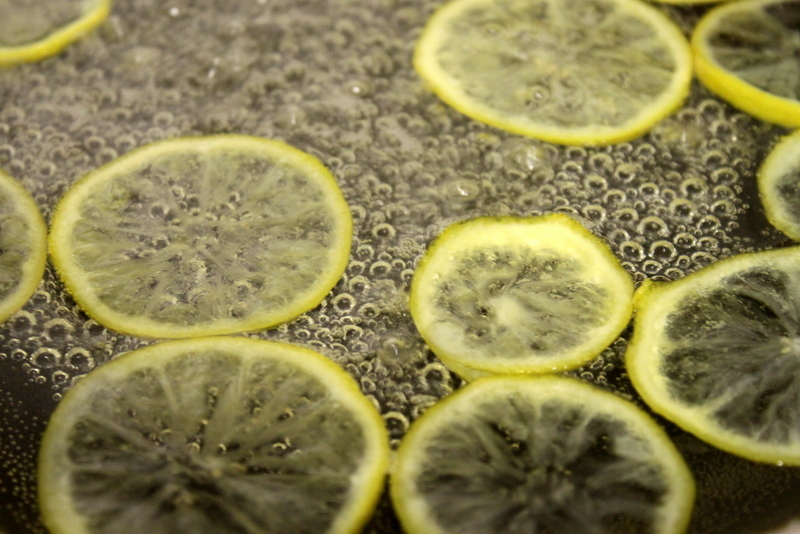 I followed what appeared to be a pretty standard internet-wide recipe: boil the heck out of lemon slices, plunge in ice bath, simmer for ages and ages in a sugar water combination, let cool on a parchment covered wire rack. 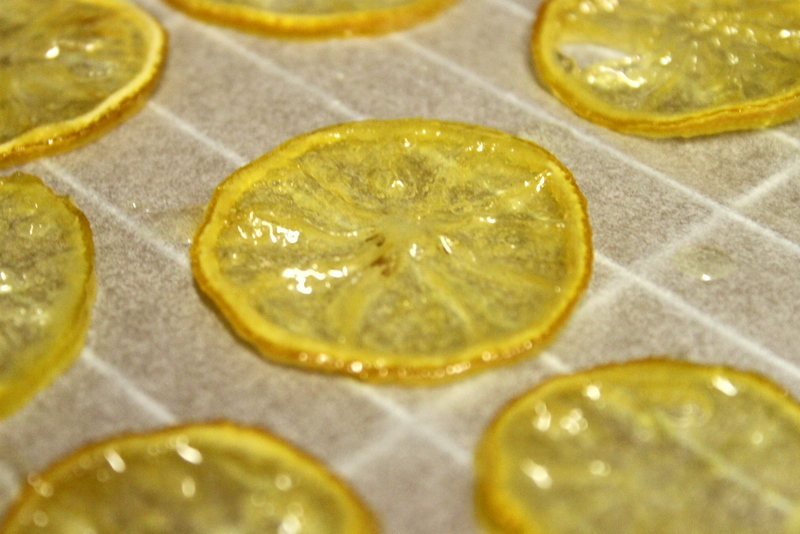 Step 7: While the lemon slices are cooling, play around with sugar water combination that you have put on high heat on the hob and make various hard candy disasters and stick everything in the kitchen together. Don’t burn yourself… feel awesome. Step 8: Oggle your pretty creations. Try to convince your stupid brain exactly how molten hot these slices are, to avoid picking them up (again) with your fingers (and trying to eat one) (again). Step 9: Sleep (because this was all done late in the day, begin again the next day.) Delicately cut the two sponges in half (hahaha, what was I thinking, they are sooo thin) then layer between each lemon curd and a lemon cream (whipped double cream, marscapone, lemon curd, and lemon zest). 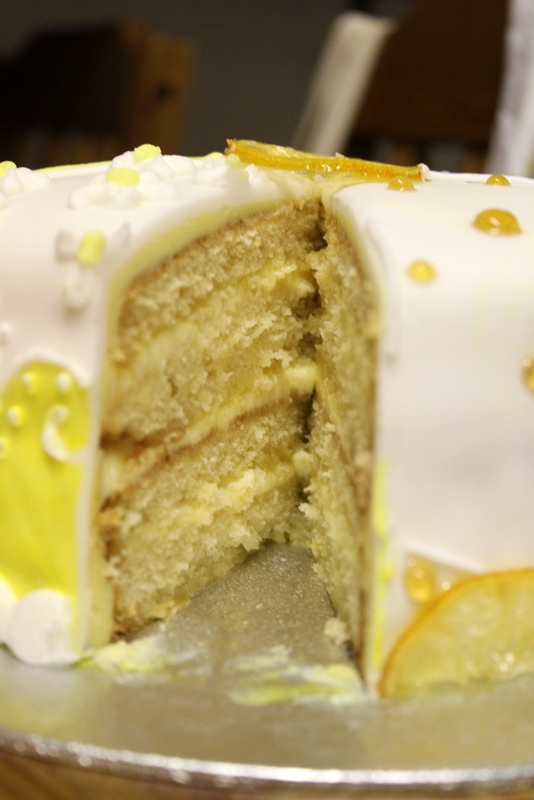 Step 10: After refrigerating to help solidify the layers, ice with lemon buttercream frosting to smooth it out, fill any gaps, and give a surface for the sugarpaste to stick to (something that is recommended on many instructions). Step 11: Forget to take a picture of it when it is just covered in plain sugarpaste, with no decoration. Step 12: Decorate! I divided the cake into four, as I wanted to try different styles and techniques of decoration. Side 1: Dots! Side 2: Stripes! 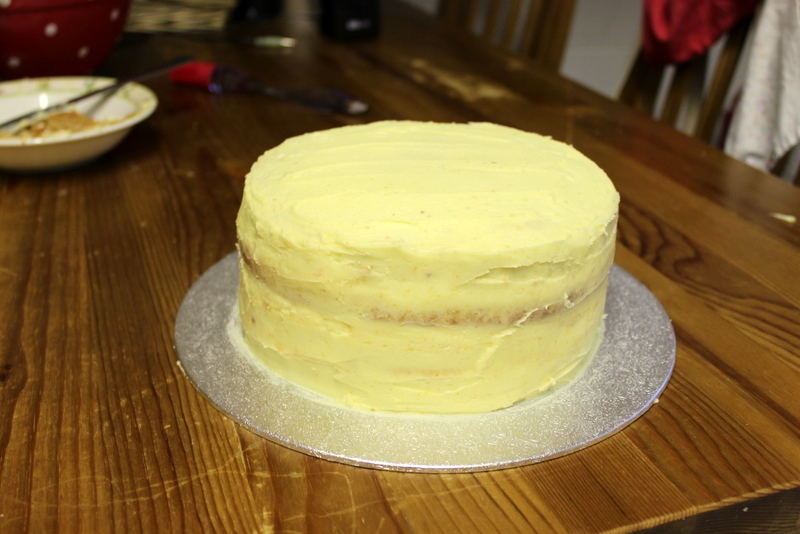 I think it looked nicer with only the white stripes, because although the picture doesn’t show it, that yellow icing is a mega-ugly colour… I am going to have to play around with the colour options. A drop of red might make it a bit of a nicer yellow, less harsh. 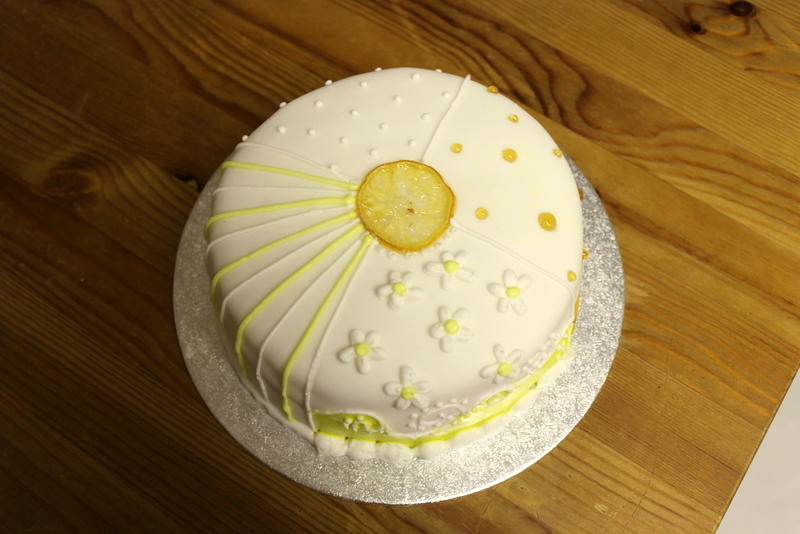 I think the next time I will try to do sugarpaste stripes though, of varying widths, instead of piped icing stripes. Side 3: Candied lemon slices with sugar dots (obvious hint: lemon slices are covering up the one sugarpaste smoosh I made). Side 4: Hideous decoration. What I learned: don’t paint really flourescent yellow colour directly onto sugarpaste, because you can’t get it off, get a finer piping nozzle because the no.2 isn’t fine enough and looks like a child decorated your cake, practice daisies on a board before doing them on cake, don’t free-hand a cake (quarter) on your first go… have a design drawn out. But despite all that, meh, I guess it’s not so bad. Top: It looks a bit manic when you can see all four designs at once! Step 13: Clean up the massive mess you’ve made all over the kitchen (sugarpaste, food colouring, royal icing, powdered sugar, etc). 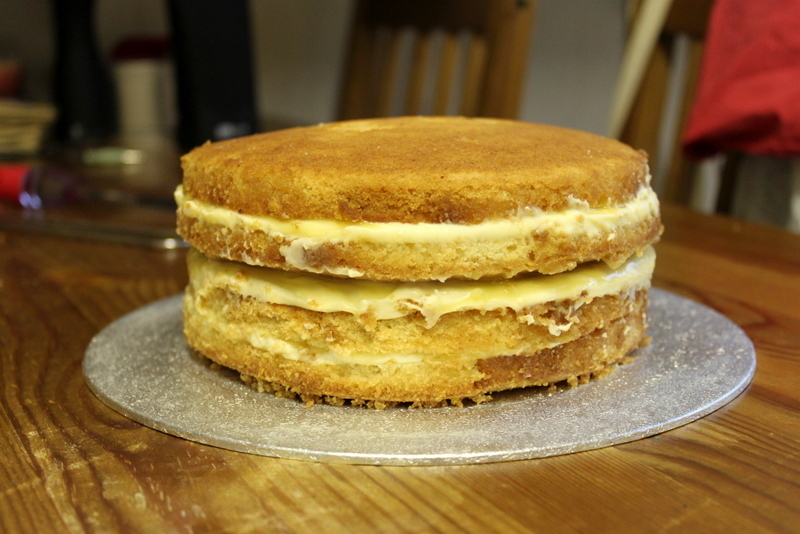 Cut into the glorious creation that is cake in order to complete the mandatory taste test! Step 14: Admire. Eat. Feel slightly ill, because I’ve only just finished a huuuge piece of pie for my tea. 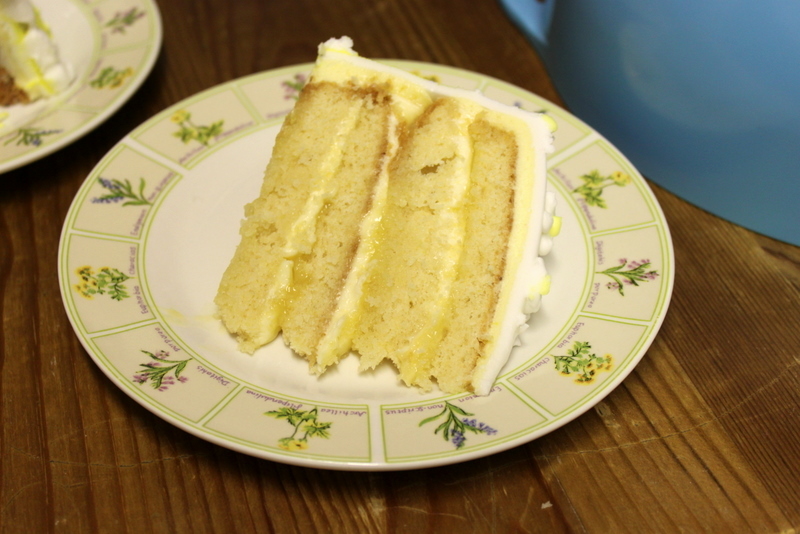 But you could theoretically eat your slices of cake when you’re not already hugely full. However, it’s awesome with a cuppa. I’m just sayin’. 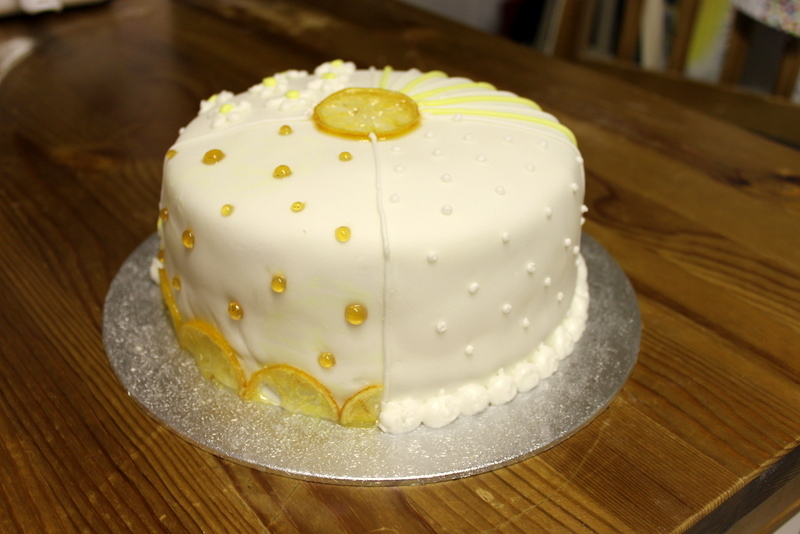 Ian and I both agreed that we liked the various dot sides best – they looked elegant and simple – and bet they’d look good over an entire cake layer. Any thoughts? 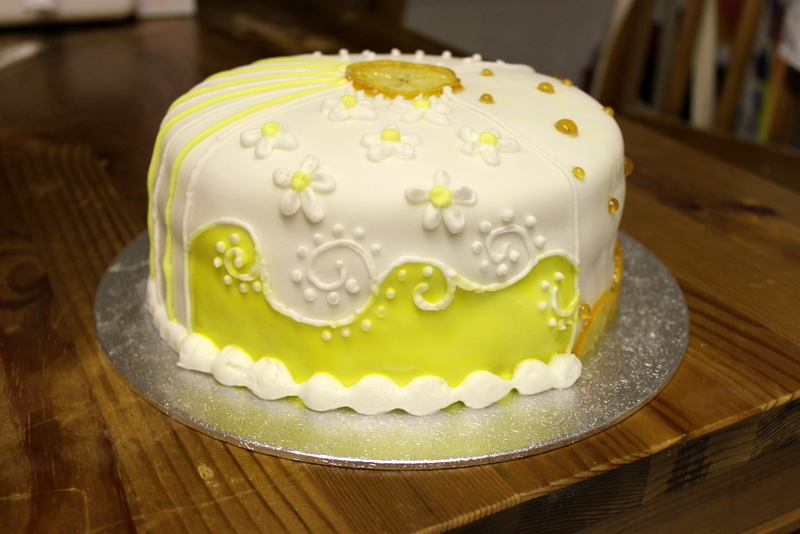 I think this was a pretty good result for my first go making a ‘fancy’ cake (ie, using sugarpaste). I can already tell that if I had any of the right equipment then it would have been waaay easier. For starters, I didn’t have a big enough rolling pin for the sugarpaste so it was tricky to get it all rolled out, no spacers to get it rolled evenly so I substituted 4mm knitting needles, no sugarpaste smoother so replaced with a hand (my hand), etc… it is a good thing that improvising kind of works in the kitchen (if you are not fussed on not having a perfect cake). I also think that I would make royal icing fresh, as the stuff I was using was from a batch I had made a while ago and the texture wasn’t great, but that was just me being lazy towards the end of the process. I could go on and on about all the lessons I learned from test-run one, but that would be boring. Buuut, the next time I make a cake, I will know what to do to make it even awesomer! Sorry for the crazy tense-shifting instructional style of this post, it’s late, and I’m tired, and thirsty. Oh, Ian just brought me a glass of water. I’m only tired now. Very impressive! I liked the side with the white dots. If you were doing this for a wedding cake, would you be doing different sized tiers? 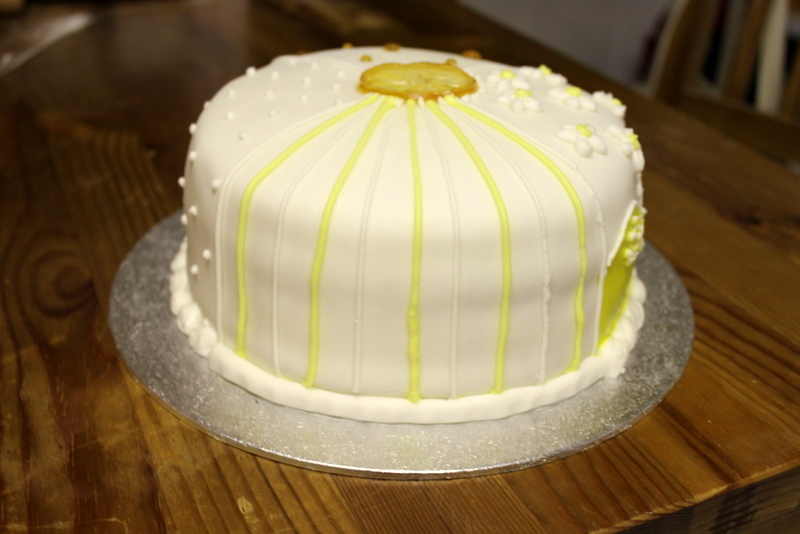 If so you could have the other coloured dots on the middle tier, but finish with a white one!